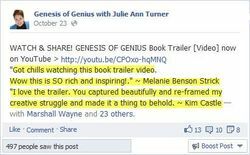 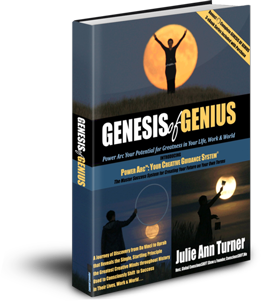 As GENESIS OF GENIUS Author Julie Ann Turner says in this excerpt (click image below to enlarge): living from our Signature Genius "gives us energy - instead of taking it away." 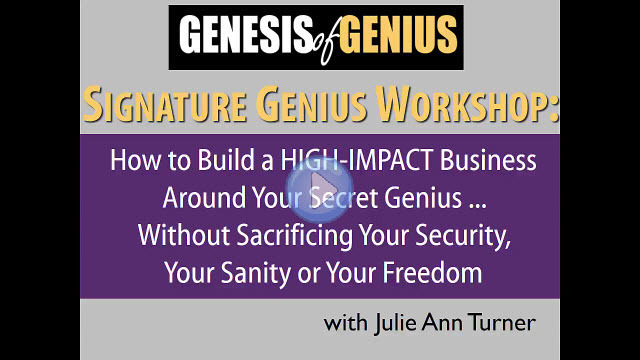 When you view expressing your genius as your "Works" of Art (instead of the heaviness of "Work" as a burden), you live your life from a place of "flow" - instead of "force." 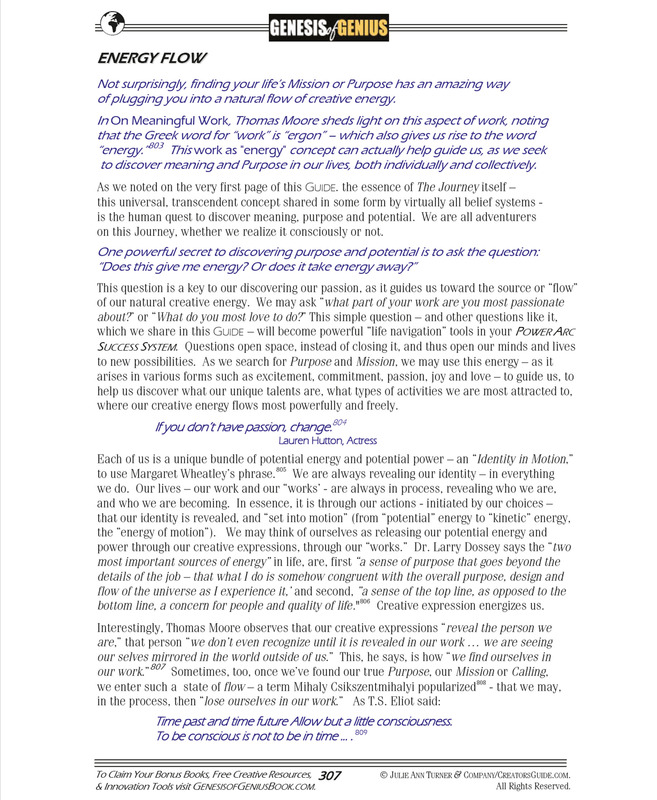 And your life transforms.